Fish Recreations Confirmed for GAC Open Weekend September 2014! An amazing brace of Grayling! 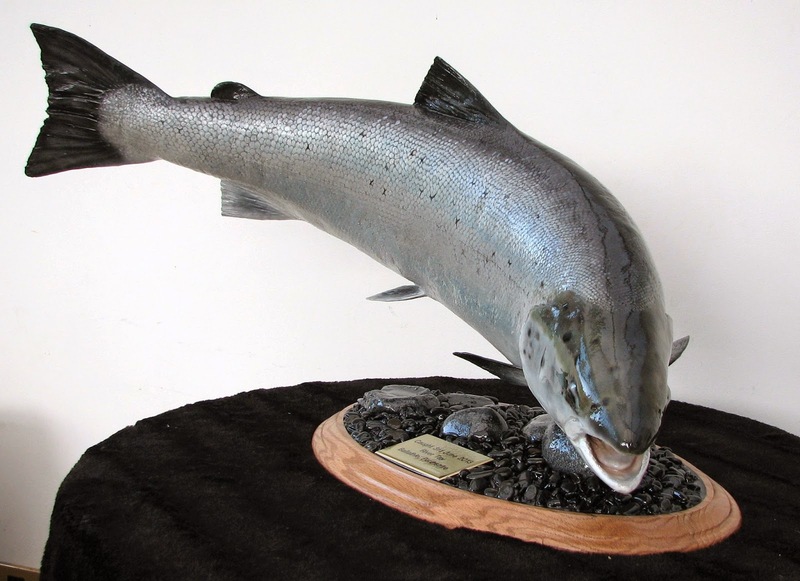 We are pleased to announce that Open Weekend favourite and top fish artist, John Edwards from Fish Recreations, will be once again attending our Open Weekend Event on the 26th, 27th and 28th of September 2014 and following on from previous years success he will be exhibiting a new selection of his amazing works of fish art, many of which he has made specifically for our show! Fresh out of the mould! Once a mould has been taken from a dead specimen, a countless number of casts can be taken from that one mould, meaning no more fish of that size need to be taken from wild stocks. 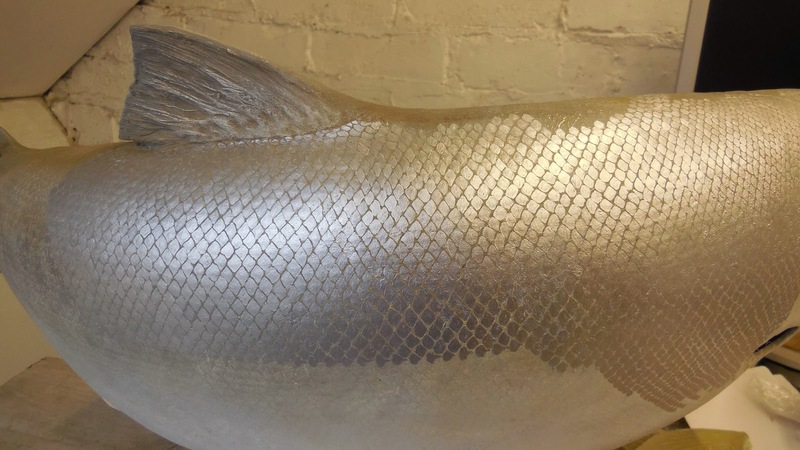 Fish replicas have been made in the USA for many many years,resulting in a huge choice of casts (blanks) to choose from. There is no ugly shrinkage or grease bleed associated with some poorly done traditional mounts, all Salmonid and all salt water species are notorious for "grease bleed as their heads and bodies are packed with natural oils that are all but impossible to remove completely, If undertaken at all, skin mounts of these species in particular should ideally be built with artificial heads and adipose fins. 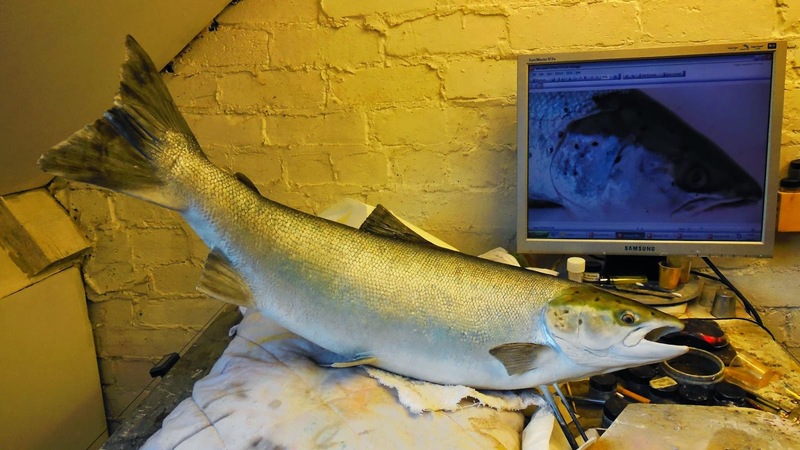 Also there is no fungus, insect infestations, smells or other deterioration that is often associated with some traditional fish taxidermy mounts. Each piece is hand painted to match the original fish perfectly! 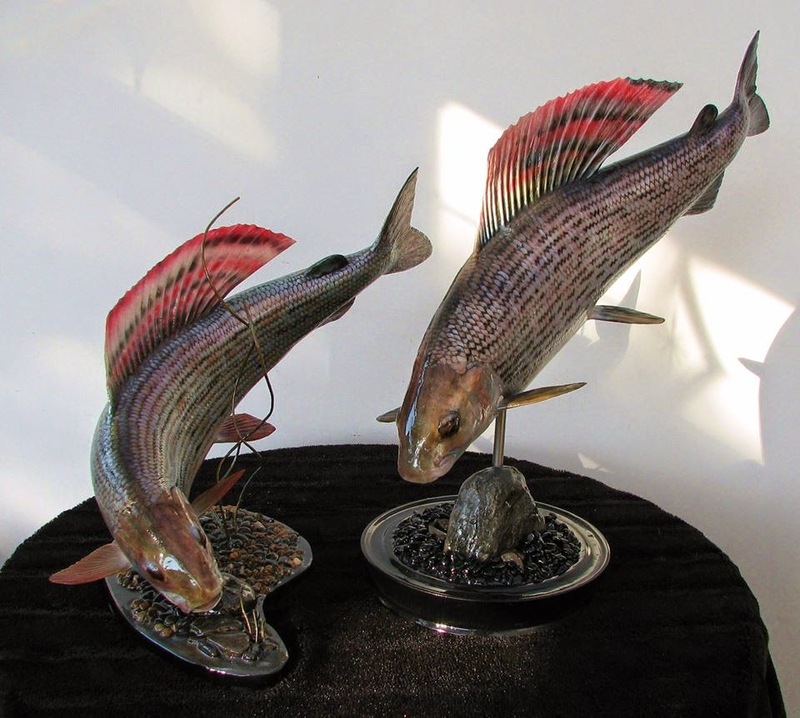 With Fish Recreations you can have your catch of a lifetime "caught" in incredible life like detail, even though your fish was returned safely to the water. 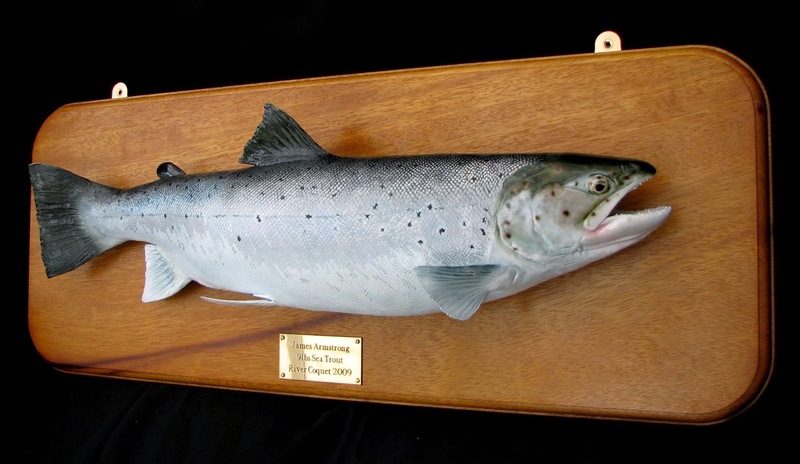 Usually all that is needed from you are a few measurements, and one or two photographs of your prize before you return it to the water to enable John to match your fish species and size exactly. Each commission is completely handmade and painted, and some works can take many months to complete. Time is not taken into consideration with this type of artwork. Check out the photos on their website or popular Facebook Page to see the stunning attention to detail for yourself! We also have a selection of Johns work on display instore for all our customers to see all year round should you like to view one in person!